The selling of motor Salvage in the twenty first century has evolved dramatically and not all for the good. 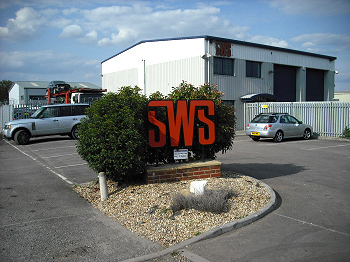 MD John Winson said "South West Salvage Ltd. has always stuck to it's core principles of supplying a quality product together with a high level of customer service. The last decade has been particularly challenging but it has actually helped us reinforce our niche. We have had to keep changing to keep up but we have grown by concentrating on the customer experience. I believe our emphasis in treating both suppliers and customers in a fair and personal manner has helped the business stand out from competitors and it has always turned a profit even in the dark days of 2008/9." Although the business handles cat B vehicles as well as cat X, D, and C, the emphasis has always been on selling high quality repairables. John has also used his German language skill to cultivate new suppliers on the continent. "We have been supplying new, slightly damaged VW and Audi cars for over twenty years and more latterly Skoda but we now have a relationship with Mercedes for light commercial vehicles." says John. In 2008 the business relocated from Gloucester to Tewkesbury having outgrown it's original site. Started in the early 80's by founder Steven Gardiner, who, together with John still owns shares in the business today. Although not involved in the day to day running of the business Steve is always on hand to give an experienced opinion and is sometimes still seen getting his hands dirty in practical maintenance issues. Old habits die hard! Manager Ken Elliott joined in the late 80's and has vast experience in the industry and sales has been headed up by Nigel Hawkins for over 10 years. John, mostly involved with supplier relations and stock procurement, joined in the mid 90's and bought his shares from Steve's brother Clive who retired in 1999. "Each staff member is critical to the smooth running of the business" says John. Loraine and Kerry handle all the accounts and admin and Dave, Marcus and Rob deal with collections, deliveries, stock control and general maintenance. "SWS is my second family" says John and with nearly 150 years of time served accross nine staff members you can see why.